It has finally reached that point in the semester when my motivation has been almost totally zapped. Not that I've stopped, you know, actually doing work, since that's out of the question. I think it was that last math exam that finally did me in. [I have learned, though, that the only thing you get out of taking financial mathematics is the unshakable fear that you'll spend your entire life paying off loans, moving from cardboard box to cardboard box, and burning your collection of scarves for warmth.] That, and the fact that the Farmer's Market is officially up and running for the year. I run on a food calendar, unsurprisingly, and now that asparagus and rhubarb are ripe for the picking, I can finally enjoy the season. So, it's equally as unsurprising that I want nothing more than to sleep in until close to noon every day, with the sun shining brightly through the shades, spending the afternoon sifting through cookbooks to bookmark recipes I'm unlikely to get around to actually cooking. In any case, after an excruciatingly long week of future financial terror, I decided to come home for the weekend. Stocking up on groceries with mom's credit card always does wonders for my psyche, after all. That, and the fact that during one of our numerous email exchanges over the week, she informed me that there was a wheel of brie sitting in the fridge, waiting to be put to use. Clearly, the fates were calling on me to make the trek home. It's not every day that there's brie in my life, after all, and I fully intended on taking the utmost advantage of the situation. Lay out the puff pastry dough and place the round of brie in the center. Spread a good amount of cherry preserves on top of the brie, and fold the dough over top. Brush the beaten egg over the top and sides of the pastry and sprinkle with sugar. Bake for 25-30 minutes, until pastry is golden-brown. Let cool 10 minutes before slicing. 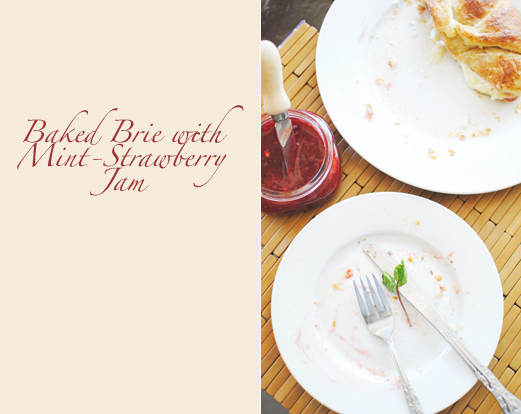 Serve with berries, green apple slices, crackers, jam, and/or honey. Yields about 1 pint of jam. In a large bowl, thoroughly stir together strawberries, lemon juice, zest, and sugar. Cover the top of the bowl with a large plate or loosely with aluminum foil, and let sit for at least 1 hour. Heat a medium saucepan over medium flame. Pour strawberries into pan and simmer until sugar has dissolved, about 5 minutes. Run mixture through a sieve to remove strawberries, and reserve syrup to the pan. Over the flame, the pale pink syrup will foam up. Stir syrup gently until a candy thermometer reads 221F. [Lacking a candy thermometer, cook until the color deepens to a strawberry-red color.] 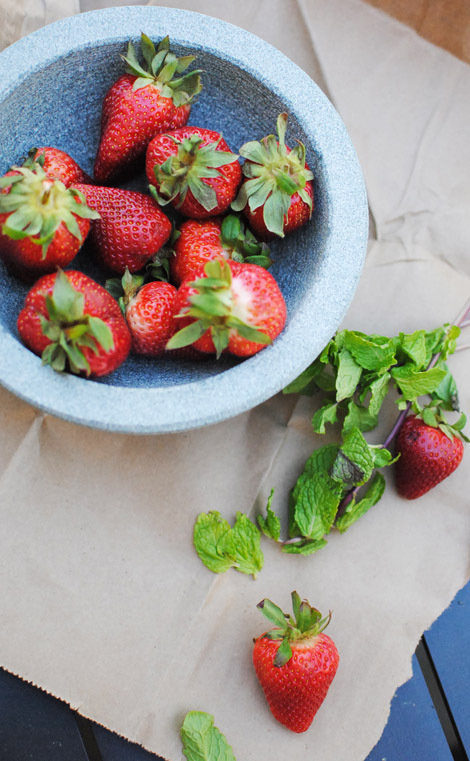 Toss strawberries back into the jam and cook for another 5 mins, until fruit has softened. For a more pureed jam, run an immersion blender through the jam. Otherwise, lower heat to very low and let the jam cook until thickened a bit, about 3-4 mins. 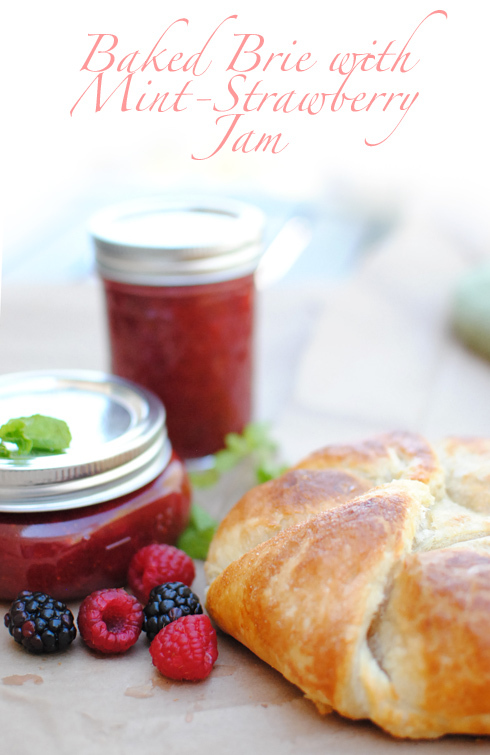 Divide jam into sterilized mason jars. Jam will keep well in the fridge for up to a week and a half. Oh, brie. How can I begin to describe brie? Brie is one of those cheeses... that you literally have to be dead not to enjoy. 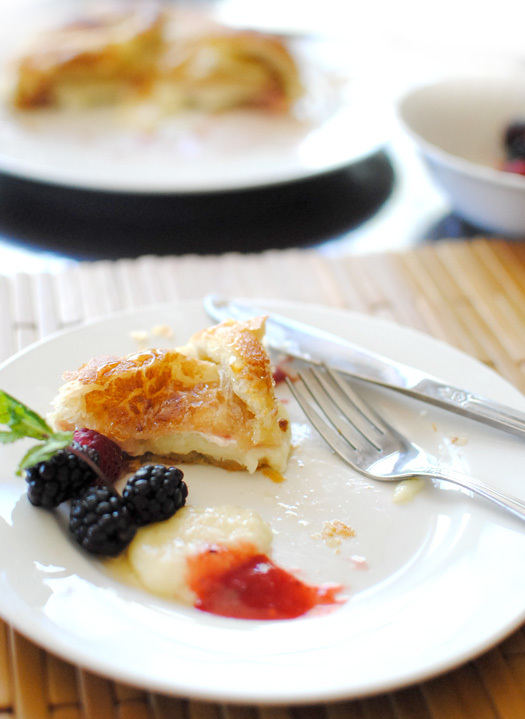 I mean, it melts in your mouth, it's divine with fruit or crackers, and you can bake it in a friggin' puff pastry. I mean, it's just cheese and carbs. Silky-smooth, gooey cheese wrapped inside a flaky pastry. And it's the easiest thing in the world to make. You just cannot go wrong. Plus, I like puff pastry. Quite a lot, actually. It takes the difficulty out of ensuring that pastry comes out flaky. And anything that makes baking seem fancy without the need for actual skill is a big win in my book. I'm sure you could do a savory version with a topping of sun dried tomatoes or wild mushrooms and pesto, but this makes a really beautiful appetizer or brunch dish. I mean, the colors are just unbelievable. Not to mention that it's friggin' brie with strawberries. I'd never baked with brie before, actually, so this was excitingly experimental. As for the jam? 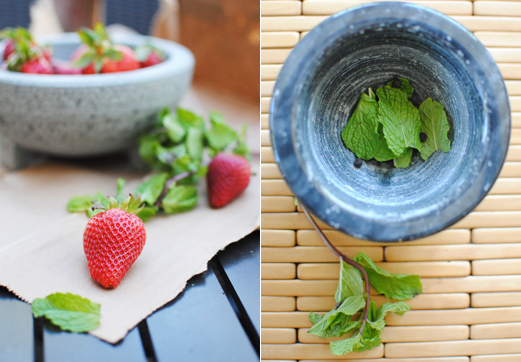 I've always liked strawberry and mint together, and finding a recipe that incorporated the two was perfect. Plus the addition of black peppercorn, believe it or not, was sheer brilliance. Underscored some of the sweetness from the sugar in a really lovely way. I shy away from using packaged pectin, frankly because it weirds me out a bit, but lemons have a rather high pectin-content on their own so the jam still thickens up nicely. I didn't actually can these jars, as I've never done so before and wasn't in the mood to burn down the house this morning, but if you're more talented than I, this jam keeps very well. 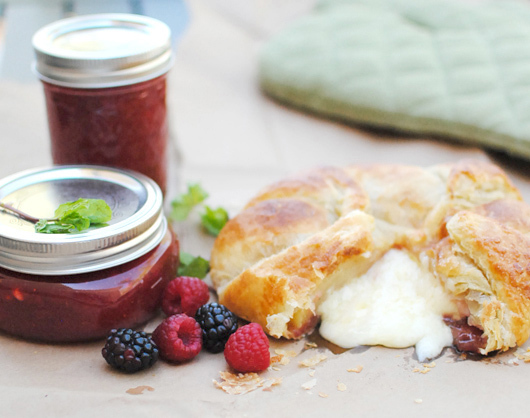 In any case, the combination of the jam, brie, and pastry is absolutely divine. Plus, with the sun shining warmly through now-green trees, mom, Yusra, and I were able to enjoy breakfast with the patio open the first time since moving into the new house. A late-morning breakfast of baked brie, berries, and tea spread out happily on table, wrapped up in sweatshirts against the cool breeze wafting through the screen door, anticipating a day spent reading books and not studying annuity formulas and amortization schedules... the perfect way to rejuvenate after a long week. And, I suppose, with mornings like this, I could make it through the rest of the semester.